As with most things in life, I am a little behind on the Starbucks train. Turns out, being behind has cost me a handful of free lattes. Bust. Well here it is. My new love: the Starbucks Reward System. And just in case you are even more behind than me (not likely) OR if you were questioning whether or not signing up for said reward system was actually worth your time, I’m here to tell you all about it and why it is my favorite thing this week. What it is: You get (or buy) a Starbucks gift card. You register the card online at starbucks.com. You sell only a fraction of your personal information (mother’s maiden name, husband’s social, copy of birth certificate… the basics). You use your registered Starbucks card. You accumulate stars. Stars get you free stuff. Is it worth it? : Yes. I was looking for more than a “yes”: Oh, well, umm,… it gets the just-invented KristinEats stamp of approval, which should mean something to you. Since my new ‘writer lifestyle’ includes trips to Starbucks every other day, it’s definitely going to pay off. 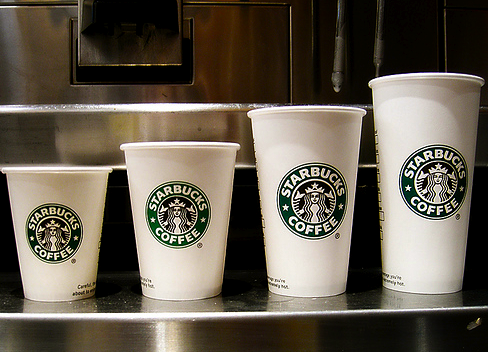 Here’s an idea: any time you go to Starbucks, use your registered card. Even if there’s no money left on it, add the $2.40 in change that you were going to use to buy your grande iced tea to the registered card. You will accumulate a star for every transaction, so try to buy as many small things in separate transactions as possible. Like today, I came to Starbucks and bought a ‘perfect oatmeal’, which is not actually perfect at all but that’s another story, and then 10 minutes later bought an iced tea. So now I have two more stars on my account! Kristin, it sounds like you might be getting scammed: It’s possible. But I come to Starbucks often enough that I figure I might as well be getting a little thrill and reward out of it, right? Anyone have other awesome points programs that are worth trying out?